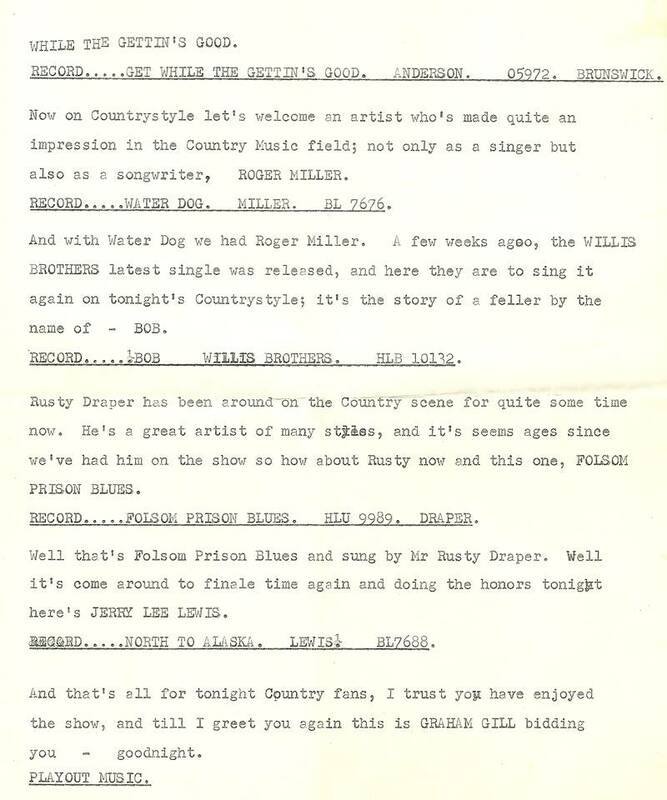 Radio historian Hans Knot found this two page script from the Radio 390 Country Style programme of 2nd June 1967 while sorting through the collection of broadcaster Graham Gill. 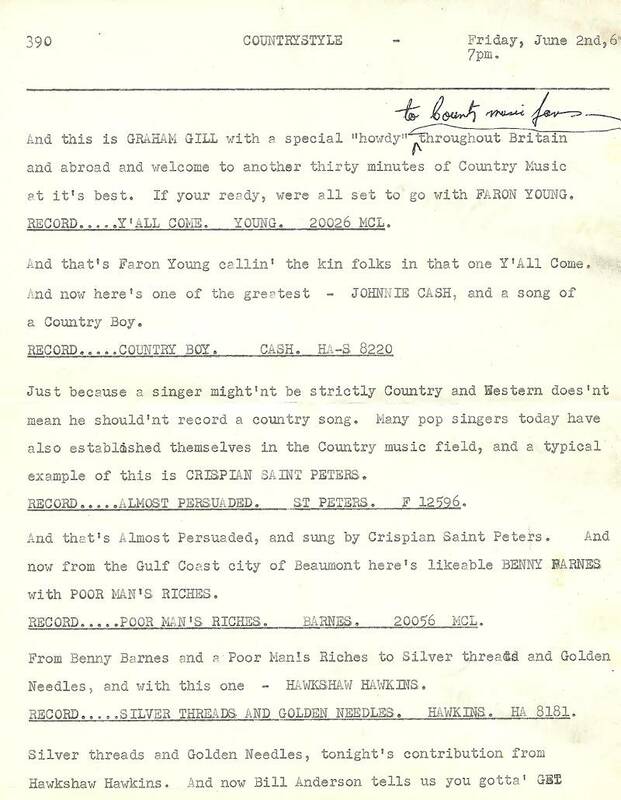 Hans very kindly forwarded it to The Pirate Radio Hall of Fame for publication. See also Graham's Radio 390 photo album. With grateful thanks to Hans and Graham.